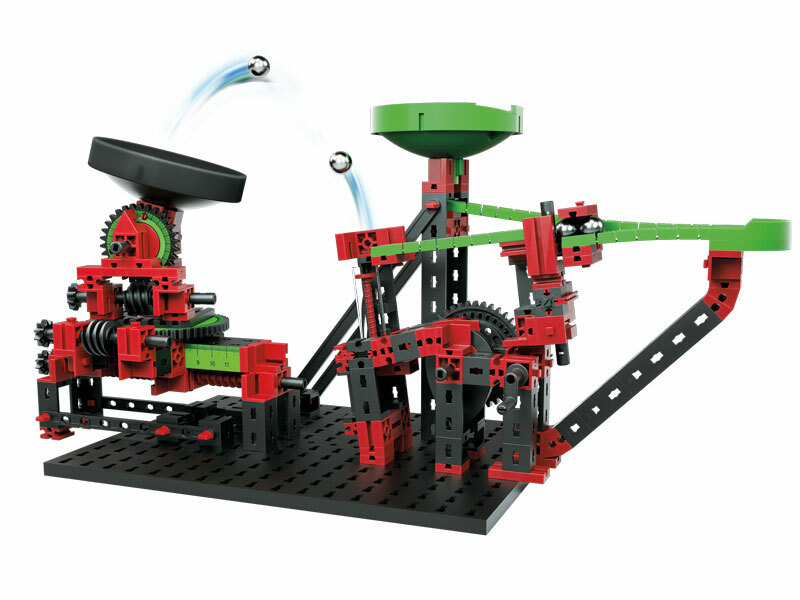 With this construction kit, pure marble run action is guaranteed. After being catapulted onto the launching pad via a mechanical clamping device, the marbles bounce off and land in the rotary funnel. To ensure that the marbles land safely in the collection tray, the launching pad can be adjusted around three axes. In total, three fun models can be constructed. For even more action, there are also free building instructions available on the fischertechnik homepage for the possible combination of this kit with the Dynamic L2 or Dynamic XXL.